These masala peanuts are great guilt free munchies. There is another option of deep frying them but this one is healthier and has far less calories than fried ones. 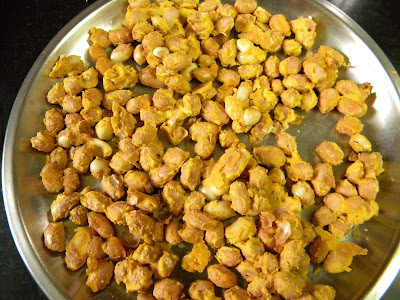 Besides microwave, these masala peanuts can also be made in OTG. 1. In a bowl, mix together besan, salt, red chilli powder and chaat masala. 2. Add few teaspoons of water to besan mixture so that it forms a very thick paste which should not drip. 3. 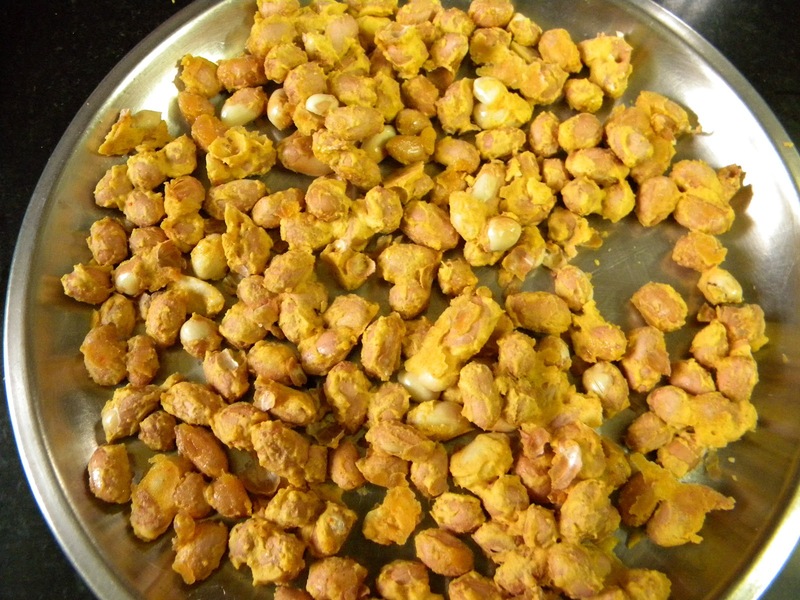 Add peanuts to this paste and mix with your hands so that each peanut is well coated with besan. 4. Spread peanuts on a microwave safe plate separating each peanut. The plate should be greased with oil before spreading peanuts. Drizzle few drops of oil on the peanuts. 5. Microwave them on a High for 4 minutes. Take out and let them stand for 5 minutes. Let the peanuts cool down completely. Store the masala peanuts in an airtight jar.